We provide complete software solution for Commission Agent. Complete software is available in both English and Marathi languages. 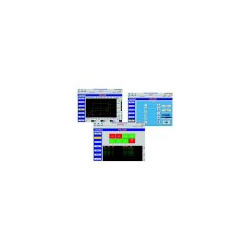 Smart Pathalogy E-Lab Software System is very simple software system to operate. you don’t need to learn anything new for using this software. PDS- Parshwa Dairy Software is sophisticated Windows 9x based software for Dairy Management and Accounting. PDS is a software package designed to work on with a 32-bit operating system. Drawing viewing management software to allow you to search for a specific drawing based on drawing number, title, date or other criteria. Cable billing application is android application which provides tracking of all collections of customers and also send sms to customers. This app is availble in local languages also. This product specially designed for milk dairy. - Fully automated calculation of costs, sales of milk, accounts receivable and payable and many other related transactions. Powar Translator 10 Software is internet based translation software. Right now software translates following languages. Initiating its journey in Aug 2008 as a Remisier and transforming its success as a sub broker within a year's span is spectacular achievement for SAEM. In Oct 2011 SAEM became authorized member of (Multi Commodity Exchange) MCX by diversifying its wide range of services in commodities with customer centric approach. 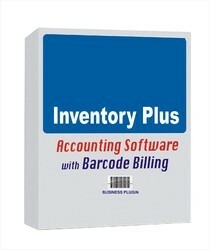 This software is developed to meet routine information needs of store section and which generated following useful reports, in addition to issue and receipt related reports and registers.ACE-8 (Itemwise Ledger)Purchase OrderList of Non-Moving ItemsList of Slow Moving ItemsList of Items (Est. No. Wise)Estimate NumberwiseA.T.D. Clinic Desksoft is a comprehensive and integrated OPD Management Solution designed to meet the demands of running modern Hospitals / Clinics. Clinic Desksoft Streamlines and integrates the processes and helps Information flow, which helps to manage resources at optimum utilization. Hotel Booking Engine allows your visitors to do direct booking from anywhere, anytime and helps you to brings back your potential customers. A variety of DataFlex software versions are available customized to client requirements. Server capacities from small single-server configurations with the embedded database to large, multi-application-server clusters using Microsoft SQL via Amazon’s Remote Data Services are available. Just tell us what you need!